New in 2016 from the Americana Collection by Madame Alexander, we are please to present "Miss Liberty". 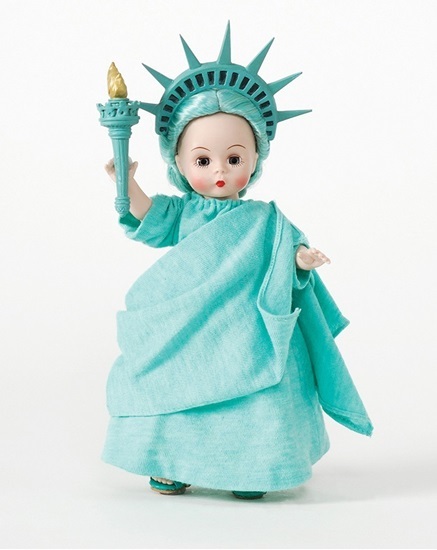 This 8-inch, fully articulated Wendy doll is dressed as an American classic..Miss Lady Liberty in a flowing green robe, with matching sandals. Her long flowing hair is pulled back in a classic bun and she has blue sleep eyes. The iconic crown and flame is included. Suitable for ages 14 and up.